Cha Cruz-Behag's husband Ray holds an ultrasound printout. 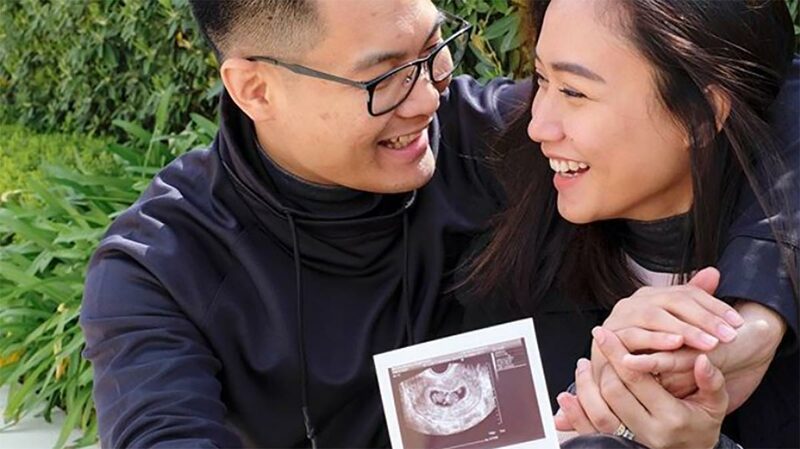 F2 Logistics star Cha Cruz-Behag is having a baby. Behag revealed in an Instagram post on Friday morning that she is pregnant, posting an image with her husband Ray holding an ultrasound printout. “The greatest blessing authored in His perfect timing,” wrote the 30 year-old volleybelle, who tied the knot on February 28 last year. The star outside hitter, sidelined due to a shoulder injury, has been suiting up each game day in support of F2, which is now in the semifinals of the PSL Grand Prix. Behag, dubbed ‘Miss Everything,' made her first national team stint in the 18th Asian Games in Jakarta and AVC Cup in Thailand. The former Lady Spiker was a two-time UAAP Finals MVP in Seasons 73 and 74 in her four championships won with La Salle. She has won already three PSL championships with F2 Logistics.